Akin to the Truth is Paige Strickland’s memoir about her adoption. In 1961, adoption was still one of those private and taboo topics. Not much identifying information was provided for adoptive families or for birth parents by the agencies. In Ohio, records were sealed forever. Adoptees and birth mothers were supposed to be thankful for the adoptive family and never look back. Adoptive parents thought their deal was signed and sealed. Akin to the Truth is available as an e-book at Amazon, Barnes & Noble, and IndieBound. To win a copy of Akin to the Truth, please enter using the Rafflecopter form at the bottom of this post. The giveaway contest closes this Friday, August 8th at 12:00 AM EST. We will announce the winner the same day in the Rafflecopter widget. Good luck! Paige Adams Strickland, a teacher and writer from Cincinnati, Ohio, is married with two daughters. Her first book, Akin to the Truth: A Memoir of Adoption and Identity, is about growing up in the 1960s-80s (Baby-Scoop Era) and searching for her first identity. It is also the story of her adoptive family and in particular her father’s struggles to figure out his place in the world while Paige strives to find hers. 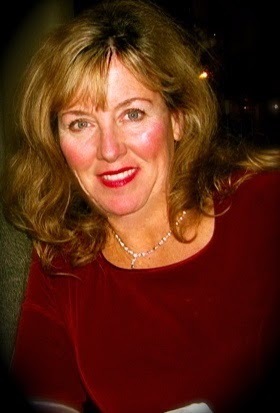 After hours she enjoys family and friends, pets, reading, Zumba ™ Fitness, gardening and baseball. Visit her website at http://www.akintothetruth.com/. WOW: Paige, Thank you for taking time for a WOW tour. It has been such a pleasure reading your story and sharing it with other. I am always inspired by the courage of the author of a memoir. Speaking of inspiration, who inspired your love of writing and how did they inspire you? Paige: I was inspired by grade school teachers who praised my work and gave me writing opportunities. I was also inspired by reading Anne Frank’s diary and encouraged by my junior year creative writing teacher in high school. He had lots of great prompts and assignments. WOW: I’m sure your teacher greatly appreciates the credit; he’s probably tickled to know he played a hand in Akin to the Truth. I’ve found many of my writing friends to be inspirational; my writer’s group is my biggest support. How do you feel about writer's groups and book clubs and why? Paige: Every writer should have a good writers’ group or two. I have a local one, which meets once a month. I am also a part of a few on-line groups. I wish I had time to join a book club and be consistent as a reader. However, I am learning to network with other local book clubs for the purpose of marketing my book. WOW: Well, it never hurts to network with others! Now onto a less flowery topic...the dreaded writers block. How do you overcome that? Paige: My block comes from not having enough time to focus and do it. It’s rare that I cannot write. The challenge for me is time and distractions. I write late at night when most other people are asleep, and that usually does the trick. I used to work with a guy who said he would isolate himself from his family and friends for a few days and write like mad, but he paid a high price to do that. I can’t do that. Good thing I’m a night owl! WOW: I don’t think isolation would work well for many of us. Who turned you onto journaling? Paige: See Question number 1. Reading/studying The Diary Of a Young Girl in 5th-6th grade was my first exposure to journaling. I kept a journal/diary from 6th grade through college. After graduation, life got too hectic, and I didn’t have time to journal or write anything that wasn’t school/teaching-related. I journaled with each pregnancy but couldn’t stick with it while kids were small. I got back to it after they were older and in school. One of my birth cousins, whom I found while doing my family search, is also a writer. That helped me get back into writing! Part of the reason I got back into writing was because of finding her. She and her husband started up a local writing group, and then the book began to unfold! WOW: Thank goodness for your birth cousin! Did you ever have that moment when you said "pinch me" because you couldn't believe you were publishing your story? Paige: It was pretty amazing the day my proof copies came and when that first box of “real” books arrived! I’ll also never forget hitting the “Yes” button at Amazon Kindle and Apple iBooks when my husband helped me upload the ebook versions! The next phase is the marketing phase. Marketing will be a forever process as long as I want to sell books. There’s always more to learn! WOW: There certainly many differing opinions and schools of thought about selling books; you’re right there’s always more to learn! How did your family feel about your publishing Akin to the Truth? Paige: My birth family has been very supportive of Akin to the Truth. My adoptive family doesn’t seem to be interested in either reading or promoting it. They may be concerned that I presented them in a negative light, which I didn’t really do if you read the whole story. My husband and kids have been awesome. My husband helped with all the technological details, (his talent!). My daughters, as teens and young adults gave me a lot of input about what they like to read in a story and what they think young adult readers might appreciate and relate to most. WOW: It sounds like Akin to the Truth certainly is a family adventure! Paige: My next book project will probably be about my experiences as a teacher, tutor and classroom aide. I still work in these fields, so that story unfolds a little more, each day I report to school. It’ll be a while before that one is finished, but I suspect that all my writings about my career will become a book one day. WOW: What do you hope readers "get" out of reading Akin to the Truth? What did you intend the take away to be? Paige: Akin to the Truth: A Memoir of Adoption and Identity explains what it felt like to be an adopted kid and young adult in the 1960s-80s, during a time when most adoptions were still sealed, secretive and rather closeted. The general attitudes regarding adoption made me (and other adoption-triad people from my era) feel shameful, guilty and separated. It affected me socially, spiritually and even professionally because feeling accepted and taken seriously were huge challenges for someone who didn’t really know their complete identity. I want readers to understand this issue and to know how I overcame it. I’m not blaming anyone in particular. It was how society was then. WOW: I love that you’re not playing the victim—it’s definitely inspirational! Any words of advice for other up and coming authors/memoirists? Paige: Keep writing. Don’t be afraid of what other people might think of your story. Writing can be therapeutic, however if your writing goals become more than just an urge to write, and your project grows to be a book you want to publish, you should read other memoirs by authors who dealt with similar topics to learn about style and the art of story-telling for the reading public. Know who your reading audience might be and design your story around your possible readers. WOW: Awesome insight and advice Paige; thank you so much for allowing WOW! to be part of your journey! Paige Strickland writes a guest post for Create Write Now and tells us about her writing process in a guest post titled: "Getting it Write" and how it helped her develop her adoption memoir Akin to the Truth. Tara Meissner reviews Paige Strickland's adoption memoir, Akin to the Truth and offers a giveaway to one lucky reader! Sierra Dawn reviews Paige Strickland's adoption memoir, Akin to the Truth. Find out what Sierra thinks of this fabulous memoir and see if you are the winner of her giveaway (for your very own ebook copy of Strickland's book)! Paige Strickland and her memoir Akin to the Truth make a stop at Choices with Madeline Sharples and Paige shares her thoughts about "Child Development." 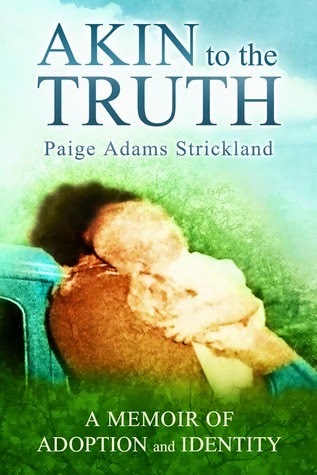 The Lit Ladies interview Paige Strickland and readers can find out more about Paige's adoption memoir, Akin to the Truth. Join Paige Strickland as she writes a riveting Guest Post about "Pets" & offers a Giveaway of her memoir, Akin to the Truth. Join Sheila Gazlay as she reviews the adoption memoir Akin to the Truth written by Paige Strickland. Sioux reviews Akin to the Truth, the highly recommended adoption memoir by Paige Strickland. Sioux is also offering a giveaway for one lucky reader! Today's interview at Romance Junkies gives us a glimpse into the writing life of Paige Strickland and her adoption memoir, Akin to the Truth. This is a "can't miss" blog stop! Join Lori Schafer as she reviews Paige Strickland's adoption memoir, Akin to the Truth. Check out the interview today at Selling Books and find out about today's spotlight author, Paige Strickland and her adoption memoir, Akin to the Truth. Join Jodi Webb as she interviews Paige Strickland about the 5 W's and learn more about Paige's memoir, Akin to the Truth. Lauren reviews the moving and expertly written adoption memoir Akin to the Truth written by Paige Strickland. Lauren has also been given a copy to giveaway to readers; don't miss this fabulous WOW! blog stop! Steph the Bookworm offers a Review & Giveaway for the moving adoption memoir Akin to the Truth by Paige Strickland! Jerry Waxler interviews Paige Strickland to learn more about her and her memoir Akin to the Truth. Enter to win a copy of Akin to the Truth by Paige Strickland! Just fill out the Rafflecopter form below. We will announce the winner in the Rafflecopter widget this Friday, August 8th! Crystal--Thanks for this interview. It's serving as a great "appetizer." Paige--I am probably the most excited writer who's part of your blog tour because I, too, am an adoptee (although I was born in the 50's, so I'm--sigh--a bit older than you). It is a tightwire we walk when it comes to our family and our birth family. I'm happy your birth family is celebrating with you, but I'm sorry your adoptive family is not wholeheartedly embracing your book. However, it must delightful to know that complete strangers ARE. Paige, I cannot wait to read your story. As a parent of an adopted child I can understand the struggles of wanting to know your roots. I can't wait to read how you handled all your feelings throughout your journey of finding your roots. One thing I was told about my daughter's feelings about her being adopted and her birth family that has really helped me along the way is, "just because she isn't talking about, doesn't mean she isn't thinking about it (them).' I've come to realize she is always thinking about it/them. Good luck with your book! Thanks, Sioux, So you've searched / found also? It is a delicate balance indeed. Luckily, when my daughter got married in 2010, we invited and had a turn out from both birth / natural family and adoptive family! Everyone got to meet! It was crazy but fun. ckalmes1, Thanks so much for your input. Great advice! I hope you enjoy the book! P.
I can't wait to read your book! I found both birth parents in May of this year. One through DNA and the other through good old fashioned detective work! I have had a reunion with my birth mother and my birth father is deceased. It has been a wonderful journey!!! This sounds like an interesting book! I work in the foster care and adoption field and the field is more into open adoptions these days, though there are still probably pros and cons either way.